Product reviewing accessories finding help. Discussion in 'iPhone Accessories' started by Zmanbaseball2, Oct 16, 2013. I am trying to look for a few things to help make my product review videos that I post on Amazon look better. I am look for a Bluetooth button to stop and start a new video so I do not have to touch the screen. Ask me if you need more info to help me. if youre going to edit the video anyways why not just cut out the parts where you start/stop the video. I am right behind the camera. I knock it sometimes causing the video to shake. I want a button that starts an stops video. I hope you can help. You could use the clicker on the headphones/mic to start/stop the video, no need for bluetooth. For the stand, why not get a holder like the Joby Gorillapod Griptight and attach it to something extending above the table? That's a good I idea but I do not want something that that connects physically to the iPod. The gorilla pod has nothing to attach to. It wail just make it taller. Thanks for trying helping though. wireless headphones and use the button on the headphones? I use a similar setup for macro photography. I suggest a camera tripod with a reversible center column. Something like this Manfrotto should work. 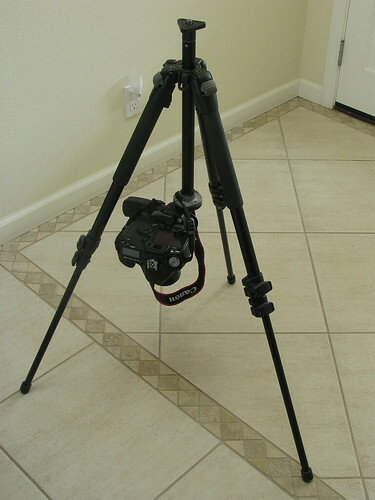 If you have a bigger budget, you can go for a tripod with a horizontal center column for more options. Just keep in mind the super cheap tripods aren't very stable. Thanks but I am looking around the 30$ range. Thank for trying though. 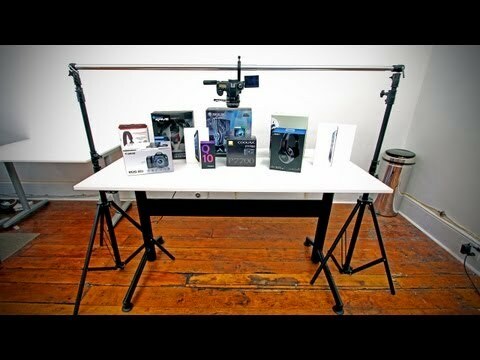 If anyone watches unboxthreapy on YouTube, you should know what I am talking about with his setup. This is the one of the setups Unbox uses. Definitely going to cost more than $30. You'll probably need to get a bit creative to pull this one off. Perhaps you can create a new product of your own! Seems to be a market for it.